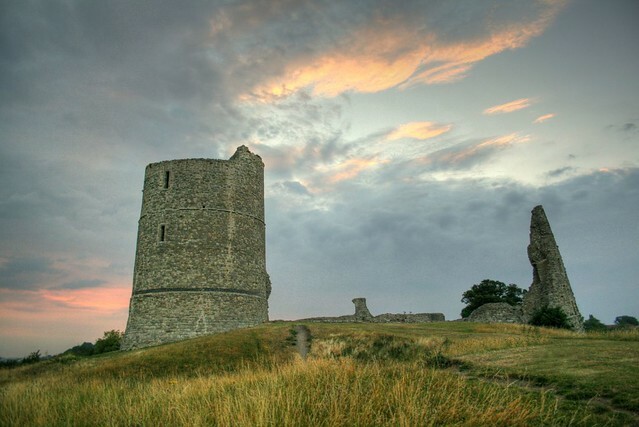 The exact date that Hadleigh Castle was built is unknown but it is believed to be around 1215 during the reign of Henry III. It proved to be crucial as a base for the defence of the Thames Estuary during England’s 100 year war with France and was said to be King Edward III’s favourite retreat in his old age. Sadly, as time passed it fell out of favour and was eventually commissioned for demolition. Today, what is left of the castle is mainly ruins and is owned and maintained by English Heritage. Visitors can enjoy impressive views of the vast stretching fields and Essex marshes that are low lying around the old towers. This regal Georgian Mansion offers views that will transport you back to the classic romance novels of the 19th Century. Copped Hall is currently protected and maintained by the Copped Hall Trust, they work to restore the site and its grounds for the local community. The surrounding gardens and fields provide views akin to those you would expect to see on your favourite period drama with landscaped parkland, beautiful gardens and open countryside. This traditional fishing village with its magnificent views across the Blackwater Estuary make Mersea Island one of the most picturesque places in the county. With a perfect mix of beach, salt-marshes and stunning countryside there are a plethora of landscapes to enjoy. Take the day to walk the 13 miles around the island, and catch the breathtaking sunset from the beach. Whether looking out towards the horizon and taking in the flaming pink hues of the sky or back towards the island with its famous, colourful beach huts – the views here are unforgettable. As the tallest Tudor gatehouse in the UK the Layer Marney Tower boats fantastic views from the top. Despite its height, the tower does not dominate the skyline, and visitors tend not to realise just how tall the tower is, until they’ve looked out from the top. They are met with a sea of green that demonstrates just how marvellous the Essex countryside is. 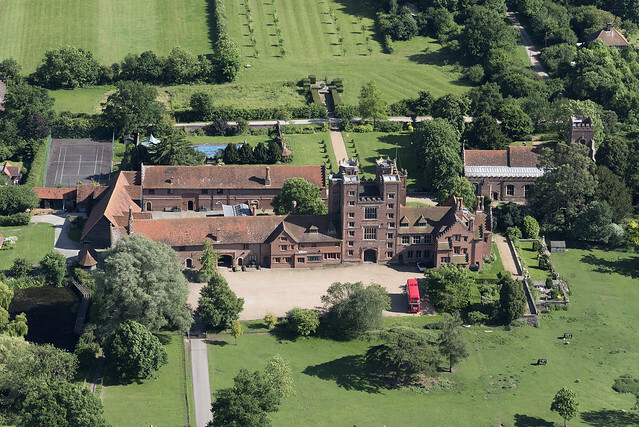 If you have a passion for history and you’re keen on relaxing in front of some unique views, Layer Marney Tower is a must. 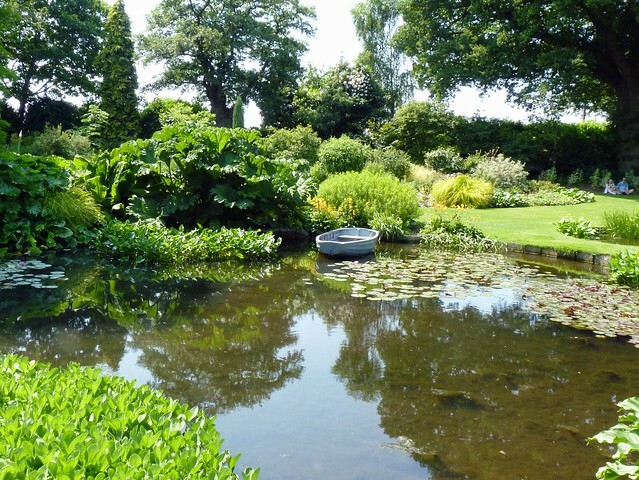 The Beth Chatto Gardens have some of the best views simply because they change with the seasons. Five different gardens, each with a different theme – water, woodland, gravel, scree and reservoir. A world of vibrant colours and wonderful aromas you can enjoy a stroll through the different gardens before relaxing with tea and scones at the garden’s tea room. Admission for April is £6.95 and increases to £7.95 from May. A beautiful spot in Harwich with a charming view. On warm summer days you can see across the Pound and look upon the remnants of an old 19th Century fishing fleet. The pier is filled with history being home to the Visitor Centre and the ‘Christopher Jones and the Mayflower’ Exhibition. Find a seat on one of the benches along the pier and relax whilst watching the ships heading off into the North Sea. Quaint, sleepy villages set against the backdrop of rolling farmland and ancient meadows. There’s a reason this land has been an inspiration for generations of musicians and artists, perhaps it’s the wide open vistas or the diverse wildlife. Whatever the reason, Constable Country in the Dedham Vale and Stour Valley is home to some of the county’s most celebrated landscapes and is well worth a visit. The Strawberry Hill Ponds can be found in the Epping Forest between Connaught Water and Queen Elizabeth’s Hunting Lodge. It was formed in 1830 after a large amount of gravel was excavated from the area for construction of nearby roads. Perch amongst the ancient tree roots on the banks of the pond and try to spot the wildfowl hiding on the small island in the ponds centre, or marvel at the way the light is reflected off the waters surface in the sunshine. Hyde Hall has it all, resplendent gardens, jaw-dropping panoramic landscapes, pretty little ponds and all manner of wildlife. As one of the finest gardens in England, Hyde Hall is renowned country-wide as a jewel in the world of horticulture and its team of gardeners strive to produce the gardens that are both vibrant and intimate. A visit to the gardens in the summer will see a tremendous mix of colours set against the backdrop of the vivid greens of the Essex countryside that surrounds it.